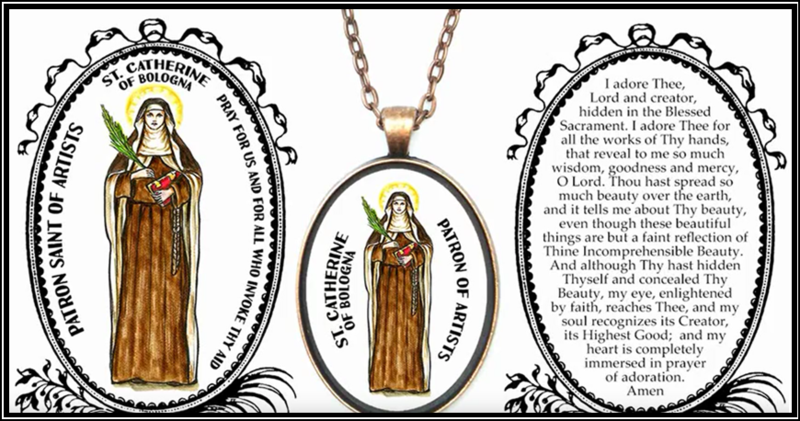 Dear saintly Poor Clare, Saint Catherine of Bologna, so rich in love for Jesus and Mary, you were endowed with great talents by God and you left us most inspiring writings and paintings for wondrous beauty. You did all for God’s greater glory and in this you are a model for all. Make artists learn lessons from you and use their talents to the full.